Girls' Summer Styles | A Savings WOW! Are your girls ready to switch out their wardrobes now that the weather is getting warmer? 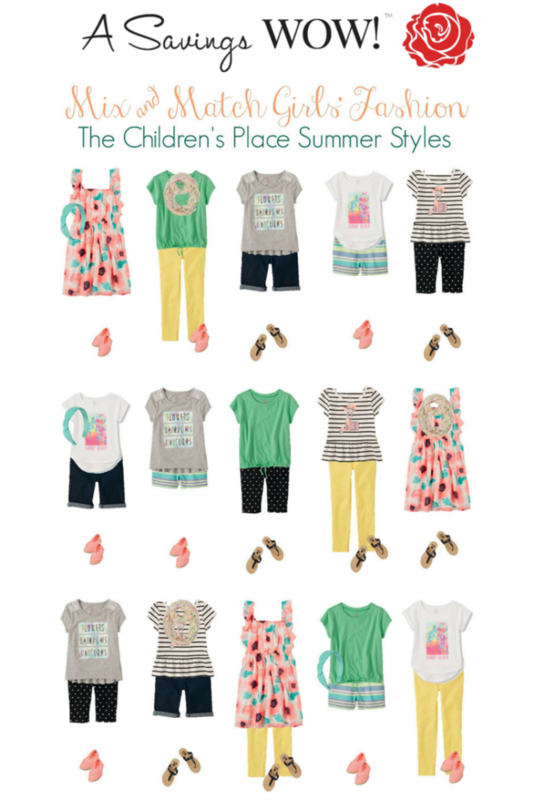 Check out these fabulous styles from The Children’s Place! You can get all the pieces you need to create the 15 outfits above for under $100 total. The Children’s Place on Savings.com to save even more money. These are such cute clothes! I would love these for my niece!